Frequently Asked Questions | Fair Credit Reporting Act Firm | The Consumer Law Group, P.C. If you have ever tried to get a loan, you know how important your credit score is. That mysterious, magical number can either guarantee you a loan with a low interest rate or guarantee that you will be denied outright. Most of us are somewhere in between, facing higher interest rates and insurance premiums because of a not-so-stellar credit score. It’s not always easy to raise that score, but with a plan and patience, you can gradually bring the number up to a more desirable range. If these traits describe you, your first goal should be to change as many of them as possible. This will not be easy for many people. Get copies of your credit reports and make sure they are accurate. While this may sound simple enough, we understand that it is not so easy for many Americans. Repairing credit requires discipline and patience. You will need to create a budget so that bills get paid on time and stick to it. If there is false information on your credit report that is lowering your score, however, you may be able to take legal action to have it removed. If you have contacted the credit reporting agencies to no avail, contact us through the link on this page to see if we can help. What happens when my credit dispute is not resolved to my satisfaction? When you find a debt on your credit report that is not yours, it is up to you to file a dispute so that the debt is removed from your report. Unpaid debt can negatively affect your credit rating and prevent you from being able to be approved for loans or to qualify for lower interest rates. In order to properly challenge a debt, you must dispute it with both the creditor and the consumer reporting agencies (CRA). CRAs are required to follow certain procedures when a debt is disputed. If you are checking your three credit reports every year as recommended, you may discover mistakes on a report that lower your credit rating and affect your ability to get a loan. When the problem is a debt that you don’t recognize as being yours, you need to inform both the creditor who claims it is your debt and the CRA reporting the debt. To do this, you will have to write letters and attach documentation to both the creditor and the CRA that proves the truth of your dispute. Keep copies of the letters you send for your own records. Send the letters with a return receipt requested or via Fedex or UPS so you can prove the CRA and creditor received your dispute. Delete the disputed information in an expedited dispute resolution. Forward the dispute to the creditor within five days to conduct an investigation. If the debt is not removed from your credit report according to your wishes, you may file a statement of dispute which will require the CRA to place a note on all future credit reports that you dispute the information contained in the report. While this does not completely solve the problem, it does let potential creditors know that you have filed a dispute. If you are not able to resolve a dispute with a CRA, you may seek litigation in a private action, but only if you can prove willful or negligent noncompliance by the CRA. Contact The Consumer Law Group, P.C. to discuss your situation and determine if you have a case of a Fair Credit Reporting Act violation. What extra protections does the Fair Credit Reporting Act provide for active duty military personnel? When you joined the military, you probably thought the biggest dangers you would face would be while guarding a military base, patrolling in a Middle Eastern country, or manning an aircraft carrier overseas. However, your training has prepared you for this possibility, and you are confident that you will be able to protect American interests as you have pledged to do. But who is protecting your interests back home? While you are away, you are just as vulnerable to identity theft as anybody else, and may be even more so considering that your accounts sit idle for long periods of time and you have no way to check for possible unauthorized activity. You should be aware, however, that there is a way to protect yourself from identity theft and it is provided to you under the Fair Credit Reporting Act (FCRA). It’s called Active Duty Alerts. Someone uses your identifying information to try to open a credit card. The loan officer or credit card company representative pulls your credit report to see if you qualify for credit. The representative sees that you have an Active Duty Alert on your report. The representative is now required to verify the identity of the person applying by either asking for a photo identification or by calling the contact number provided on the credit report. You, or your designated stateside representative, will be called to verify the application for credit. If a credit report is pulled by anyone for any reason, you will be notified. The alert will be active for one year, unless you cancel it, and may be extended for another year if you have not returned from active duty within the year. 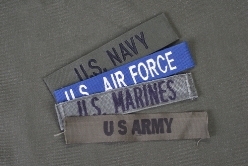 With these protections in place, you can be confident that your identity is safe while you are serving your country. If anything does go wrong, you may need the help of an attorney to straighten things out. If you experience problems with correcting misinformation on your credit report, we are here to help. We are proud to work with members of the military from the Richmond area and look forward to hearing from you. Call our office at 804-282-7900. What Factors Are Considered When Determining a Credit Score? 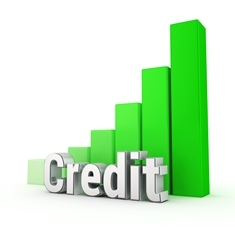 What is a “credit reporting agency” under the Fair Credit Reporting Act (FCRA)? Although the law is fairly clear about the rights of consumers, it isn’t always easy for the average person to make sense of the language of the law. One term you might see a lot as you look into your credit rights under the law is “credit reporting agency.” But what does that really mean for the consumer? Additionally, you have probably also seen the term “information supplier” as you’ve been researching your consumer rights or how to fix your credit report. Under the FCRA, “information suppliers” are the companies and other legal entities that give credit information to the credit reporting agencies, such as a company or legal entity that you owe money to. Both credit reporting agencies and information suppliers owe certain obligations to consumers under the FCRA, and consumers are given the right to take action when these entities violate their rights. If you’re feeling overwhelmed with legal language and complex laws, don’t be afraid to ask questions and ask for help. There are many incidents of credit reporting agencies and information suppliers around the nation violating the FCRA, but many consumers are unaware that they have options for protecting themselves and their credit history. If you need help protecting and fighting for your consumer rights, don’t wait any longer to get experienced help. At the Consumer Law Group, we help individuals speak up for their rights against companies and creditors, and we take pride in our history of successful cases. We can carefully explain your options and your rights—in language you understand—and make sure that you can make informed decisions about your situation. For immediate assistance with your concerns, you can call us today at 804-282-7900 or fill out the convenient contact form on this page. How long will an unpaid debt remain on my credit report? Negative information appearing on a credit report can easily happen to virtually anyone. You may forget to pay a bill, not receive your mail, or undergo an unfortunate and unexpected expense that you cannot afford to pay, such as a medical bill. The end result may be that the creditor reports a late or missing payment, resulting in negative information on your credit report and a weakened overall credit score. 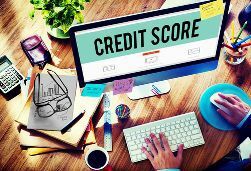 Fortunately for consumers, the Fair Credit Reporting Act requires that this negative information be removed after a certain period of time. What was the date of the first delinquency? Generally, most negative marks on your credit report must be removed seven years from the date of the last scheduled payment. Did you file for Chapter 7 bankruptcy? If so, the information relating to the bankruptcy can remain on your report for ten years. After that date, it must be removed. Did a creditor or other party obtain a judgment against you? Most judgments can only remain on your credit report for seven years. Some states, however, have statutes of limitations that allow for judgments to remain on your report for a longer period of time. If your judgment was issued in such a state, it can remain on your credit report for the longer period of time. Is the negative information relating to money that is owed to or guaranteed by the government? In these cases, the negative information can remain on your credit report forever, or until seven years after the date on which it was paid off. Examples include unpaid taxes and student loans. If information is wrongly report on your credit report, you may be entitled to pursue legal action. In addition, you may also be entitled to damages if a debt collector uses illegal debt collection practices against you. We are here to help you protect your credit report and deal with harassment from creditors. We encourage you to contact us today for more information at 804- 282-7900. Why should I ask debt collectors to verify my debt? When debt collectors are coming after you, they may use aggressive, frustrating, and annoying tactics to try and collect what you owe. Fortunately, consumers are provided with some protection from creditors under the Fair Debt Collection Practices Act. Under the terms of the act, consumers have a powerful weapon at their disposal. Consumers have the right to require that a debt collector verify the amount and validity of the debt they are accused of owing. To take advantage of this important tool, however, you must act quickly. Failing to request debt validation could be costly. If you do not request debt verification in order to determine who the original creditor is, you may have a more difficult time determining whether or not you have grounds to dispute the debt. Requesting that a debt be validated can reveal the fact that the debt collection agency is missing vital information about the debt. For example, the agency may be trying to collect the wrong amount of debt, or may be trying to collect from you when the debt is really that of someone with a similar name. If you do not request that the debt be validated, you could miss an opportunity to reduce or eliminate the debt and the debt collection agency can assume the debt is valid. Similarly, if you do not request the original creditor’s name and address within 30 days of receiving the first collection letter, the debt collection agency can assume the debt is valid and can then continue its collection effort, taking advantage of all legal collection efforts against you. If you know the debt is not yours or it was paid off, you can send the debt collector a simple letter that demands the debt collector stop contacting you in any way since the debt is not owed. Send the letter by certified mail with return receipt requested or by overnight mail. If the debt collector contacts you to collect after the receipt of the letter, contact us. When it comes to debt collection, time is of the essence. We encourage you to act quickly by contacting us today at (804) 282-7900.